Additional Information: A creative and unique offering from the Suku of the Congo region. 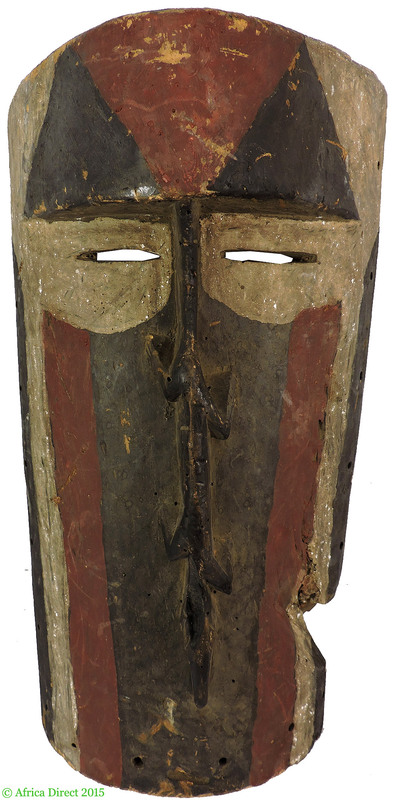 The design of the mask reminds of the tall Kuba mask convention. This particular example uses a slender lizard in the place of a nose and flat, slit shapes for eyes. The front is painted in several layers of colored pigments. In many cases, Suku masks incorporate animal figures. Usually the Suku mask may be differentiated from other masks by the use of white paint for the face, as well as by the presence of pigments for the eyelids. The Suku, whose art closely parallels that of their more populous neighbors, the Yaka, number around 80,000. 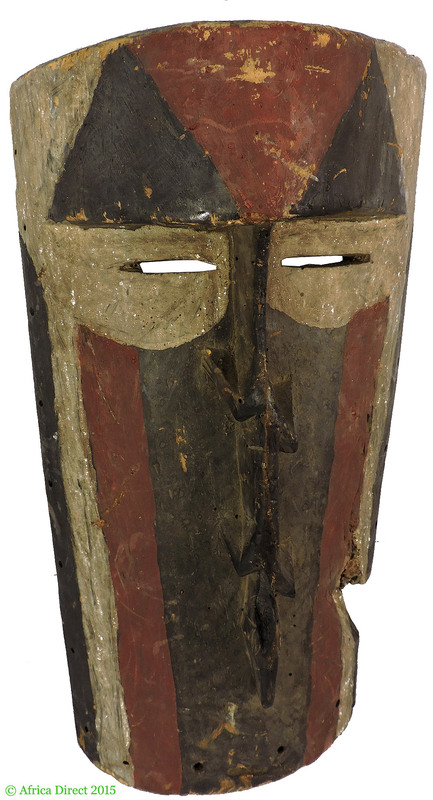 They extensively use masks to promote success in hunting and to venerate ancestors. 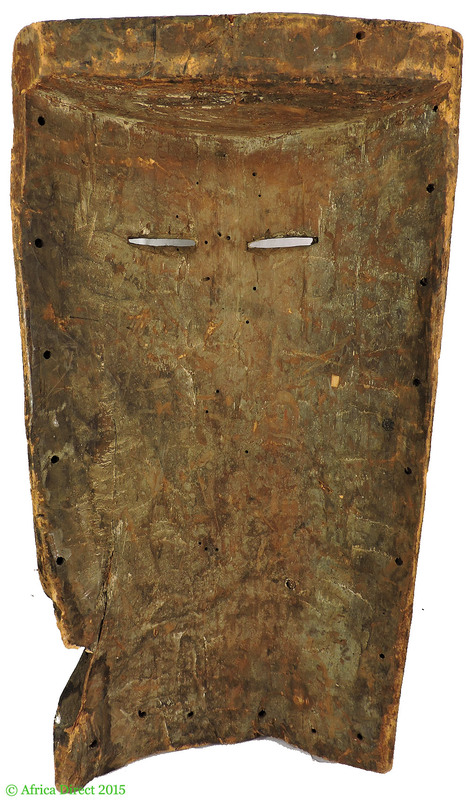 The mask presented here, with its white face and blue vertical "scarification" marks, probably originates from the northern part of Suku territory, as the southern artists use quite different color schemes. For more information and fine examples, see Kerchache, et al, "Art of Africa".